Whisk half-and-half, eggs and sugar together in a saucepan. Place over medium heat and stir as it begins to bubble. 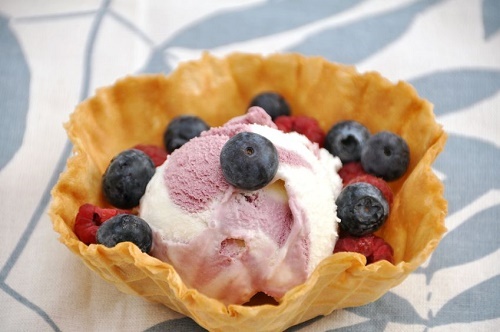 Pour into a bowl and whisk in huckleberries and vanilla. Chill in a refrigerator for a few hours and then put in an ice cream maker.